Lagging is usually placed in the space between larger vertical I or W-BEAM soldier piles. 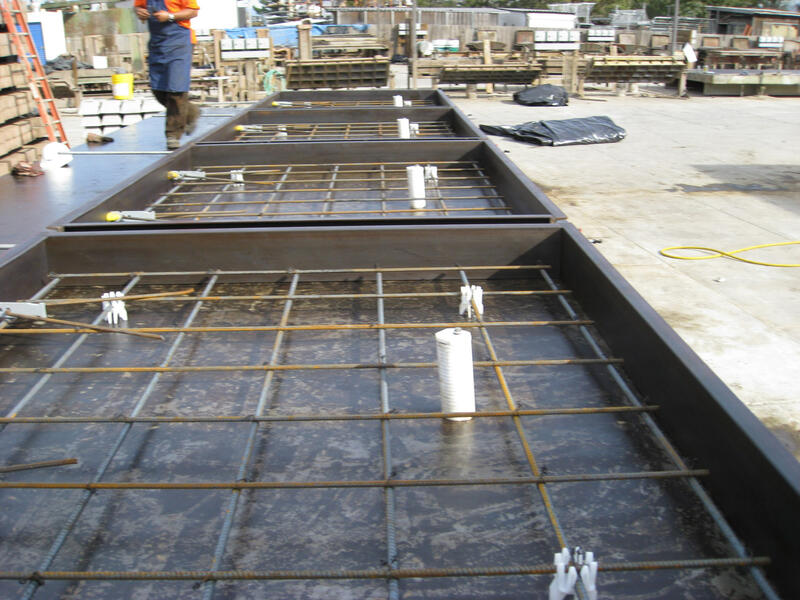 It can also be used in slotted cast in place concrete columns. Dynamic lagging is made to order, with lengths varying from 4 to 10 ft, thickness to 10″ and height of panels from 8” to 6 ft. 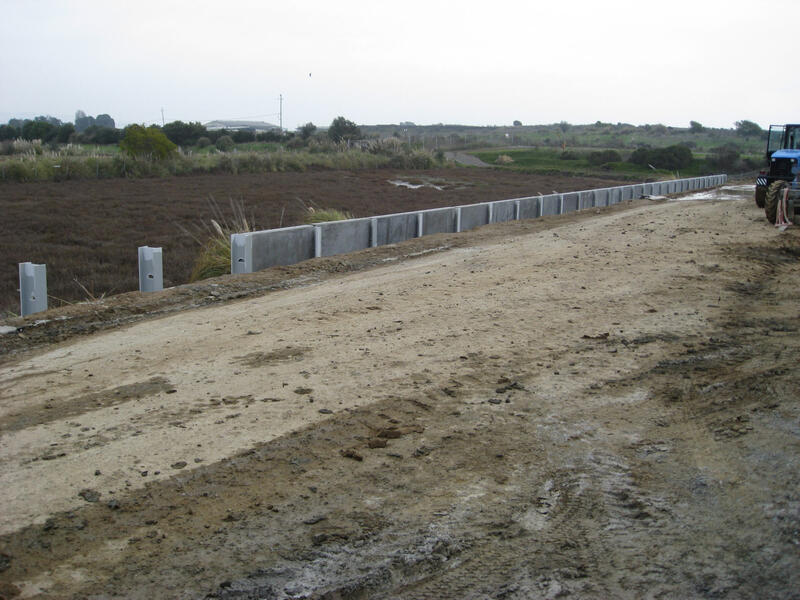 Dynamic precast can design and engineer your lagging requirements based on the soil pressures specified in the soils report for your project. Our standard lagging is 1 ft and 2 ft high, 6 ft long, and 5” thick, with one lift eye for handling. It is shipped on pallets to your jobsite via our trucks. You unload.